We spent an amazing weekend in Vancouver before we boarded our Disney cruise down along the California Coast. 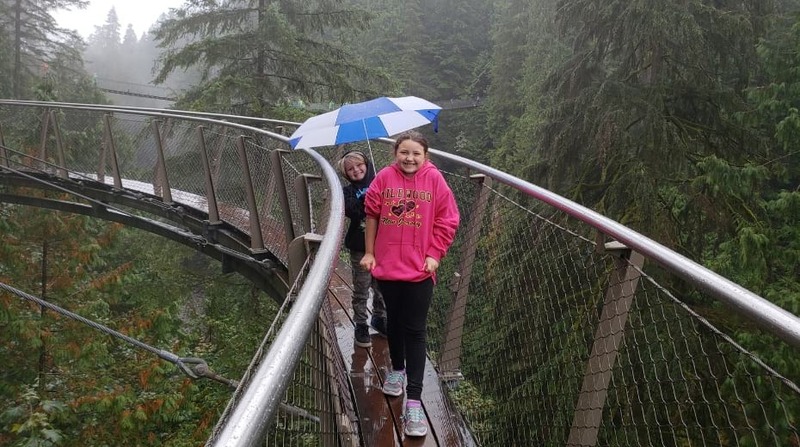 One of our highlights – no, our BEST highlight – was spending an entire day at Capilano Suspension Bridge Park, just a few miles north of downtown Vancouver and easily accessible by FREE shuttle from various pickup points in the city. Watch us trek across the historic suspension bridge on a cold and beautiful rainy day, and see all the park has to offer it’s visitors!